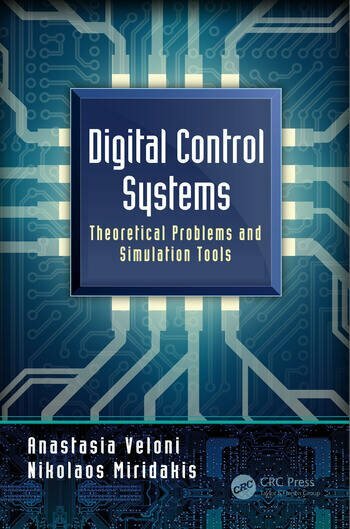 The objective of this book is to provide a collection of solved problems on control systems, with an emphasis on practical problems. System functionality is described, the modeling process is explained, the problem solution is introduced, and the derived results are discussed. Each chapter ends with a discussion on applying MATLAB®, LabVIEW, and/or Comprehensive Control to the previously introduced concepts. The aim of the book is to help an average reader understand the concepts of control systems through problems and applications. The solutions are based directly on math formulas given in extensive tables throughout the text. Professor Anastasia Veloni is with Piraeus University of Applied Sciences, Department of Electronic and Computer Systems, Athens, Greece. She has extensive teaching experience in a variety of courses on the Automatic Control area, and she is the author/co-author of four textbooks. Her research interests lie in the areas of signal processing and automatic control. Nikolaos I. Miridakis was born in Athens, Greece, in 1982. He received his M.Sc. and Ph.D. degrees in Networking and Data Communications from the Department of Information Systems, Kingston University, U.K. in 2008 and from the Department of Informatics, University of Piraeus, Greece in 2012, respectively. Since 2007, he has been with the Department of Computer Engineering, Piraeus University of Applied Sciences, Greece where he is an Adjunct Lecturer and Research Associate. Also, since 2012, he has been with the Department of Informatics, University of Piraeus, Greece where he is a Senior Research Associate. His research interests include wireless communications, and more specifically interference analysis and management in wireless communications, multicarrier communications, MIMO systems, statistical signal processing, diversity reception, fading channels, and cooperative communications.